Facebook Killed the Blogoshpere Star | Nicole, Deipnosophist. (I know I’m no star, just trying to paraphrase a quote. Work with me here). Now that I’m on Facebook, I have ignored blogging. Blogging takes thought and creativity. Facebook asks me for one-sentence updates. Blogging demands long-winded strolls through my mind. Facebook lets me upload a picture and no story. Blogging says, pour yourself a cup of something and add your own thousand words to the picture. So I’m attempting to resist the lazy urge to Facebook this pic. Instead I’ll sum up the evening: fun family fest frolic. 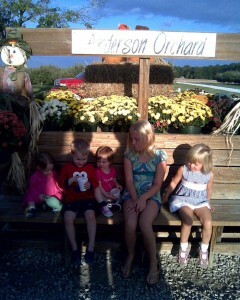 Mexican food followed by local apple goodies at an orchard. 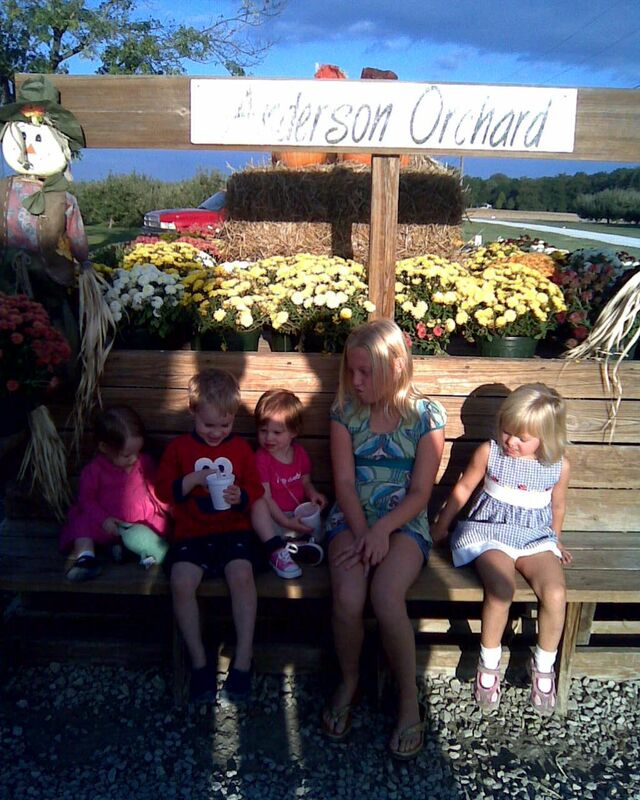 If you’re interested, my kid is the littlest one on the far left. Children’s ages are 1, 3, 1, 9, 3. Me blog. Me forget how write good. Me too busy. We want more pictures !! !